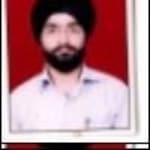 Dr. Jasdeep Singh Bedi is one of the best Physiotherapists in Raj Nagar Extension, Ghaziabad. He has had many happy patients in his 12 years of journey as a Physiotherapist. He studied and completed MPT - Orthopedic Physiotherapy, BPTh/BPT. You can visit him at HEALTH POINT in Raj Nagar Extension, Ghaziabad. Don?t wait in a queue, book an instant appointment online with Dr. Jasdeep Singh Bedi on Lybrate.com. Lybrate.com has an excellent community of Physiotherapists in India. You will find Physiotherapists with more than 38 years of experience on Lybrate.com. You can find Physiotherapists online in GHAZIABAD and from across India. View the profile of medical specialists and their reviews from other patients to make an informed decision. Rebuilding And Regenerating Damaged Knees - The Future Has Arrived! We are now routinely seeing regenerative technologies emerge in a wide variety of medical and surgical specialties. Orthopedic surgery, the treatment and prevention of muscle, bone and joint ailments, is certainly on the regeneration cutting edge. The knee is one of the largest joints in the human body. When healthy, it performs remarkably. When damaged, the cushion (cartilage) can have focal “potholes,” areas of damage called chondral defects, or it can have areas of wear and thinning of the cushion, which is arthritis. Damaged cushions (cartilage) not only cause inflammation in the joint but can grind on each other and because of a lack of shock absorption result in significant pressure and pain in the adjacent bones. Back then, the dictum was that once damaged, joint surfaces can never heal, and over time will continue to deteriorate leading to further damage and ultimately arthritis. Even today we know that joint cushions have a very limited healing capacity, as they have no blood supply and no nerve endings. So basically, once a joint cushion is damaged, you were doomed. We can now refill “potholes” (and thus fix chondral defects). Someday we will be able to “repave the road” restoring larger areas of more diffuse joint cushion damage, and that means potentially curing arthritis. Dr. Vasanth Raj, pioneered knee cushion regenerative techniques with his microfracture procedure in which small microfracture puncture-type holes are carefully placed in the bony base area of chondral defects in the knee. This forms a blood clot. The clot has specialized cells and growth factors which, if the proper post-operative program is followed, can over time regenerate a new joint cushion! And cell therapies have even gone beyond surgery to daycare-based injections only. Many researchers and physicians, instead of performing surgery, are injecting stem cells and growth factors, including PRP (Platelet-Rich Plasma) into the knee. These injection based cell therapies are a hotbed area of research. The cell therapies are now also being used in conjunction with regenerative surgeries to enhance, and possibly accelerate the healing process. Regeneration technologies could make knee replacement a thing of the past. We foresee the day, in the not so distant future, when we either inject specialized cells, or apply a mixture of cells and growth factors, almost like Spackle, to injured joint surfaces in the areas of early arthritis, and not only halt future damage, but also make knee arthritis a thing of the past. But until then, it behooves us to take care of our knees and preserve what we have, with a focus on prevention. Keep your weight down, and your legs and core strength. If you are having knee problems get things checked out sooner rather than later. And if there are issues like arthritis, be willing to modify your activities and fitness programs to protect your knees. You must, however, find ways to remain active and fit, as being sedentary is not an option. Hello, im 22 years girl. I had leg pain from past 3 months after all the tests and MRI the reports says left sacroiliitis. When I met rheumatologist they said its ankylosing spondylitis abd lasts for lifetime. My HLA b27 is also positive. Does it means I have ankylosing spondylitis for sure? Please answer me. Hi you can follow undermentioned medicines cap scitilon 1-1-1 for 30 days. Rasnasaptaka kashaya 20 ml 2/TM with equal amount of warm water. Massage lower back with ksheerabala tail in the morning, follow the hot water bath. Avoid long time sitting, lifting heavy weights. Sleep on flat surface. Avoid brinjal in food. Drink warm water regularly. Practice yogasanas which strengthens lower back muscles. Dear Lybrate user Rotate your head in both clockwise and counter-clockwise directions, and nod the neck side to side from one shoulder to the other. Do this for 10 minutes 2 or 3 times daily. This will help the pain in your neck from getting severe. You can even rotate your arms in clockwise and counter-clockwise directions, and fold and unfold your fists at regular intervals to control pain. 2. Hot and Cold Compresses Another easy way to deal with neck pain due to cervical spondylosis is alternating hot and cold compresses on the affected area. Hot compresses will improve blood circulation and relax sore muscle. My left leg was paining from 2-3 months, when I am using indian toilet, or when I am sitting on my knee, after some time, my pain vanished, why this was happened. Hello lybrate user, get your x-ray of the knee joint in standing weight bearing position in anteroposterior and lateral projections. Mostly it is has osteoarthritis of the knee joint wherein the articular cartilage of the joint gets progressively degenerative. Common in old age and indian population who use indian toilets and squat use knee caps regular exercise hot water bag some natural medicines x-ray and her level of discomfort will dictate the management plan. God bless you. I am suffering from pain in my legs and left toe for several months and when I woke up in the morn I feel pain in my legs. I also have some pain and burning type feeling in my left hand. If someone masag my left hand I feel some burning sensation like feeling. My vitamin d3 level is 15. I take supplement for that but the pain and my problem remains same. What should I do. Pls help. This might be due to lack of nurtitions+ increased body heat too. Take 2 spoons of ghee with milk 2 times a day for min 15 days. Do regular stretching exercise. Hello sir. Im a body builder. I have a problem sir I cant take more weight in right hand. When I take extra weight then pain right hand born. Your dominant hand must be right that's why you can carry more weight in right as compared to left. Try to increase weights gradually. No need to run fast. If you want to increase muscle mass then do exercise like increase weight and lower the reps in each round. Reps must be like 15/12/10 or 12/10/8 with increase in weight with each round. These reps of 3 sets are more than enough to build muscle. I am 67 yrs, woman. I am facing knee, back & ankle pains. I can't stand up immediately or walk speedly. I am feeling my foots are weaker. Identify the dipping portion on the back of your knee folding. Press this dip with both middle fingers and hold your knee with your thumbs for support. Please swing 20 times morning and evenings. This will relieve your problem. Check your sugar levels immediately. Identify the mid point between the ankle bone and tendons and give pressure with a blunt edge on either side of your foot for 2 minutes. Also give pressure in the web between 2nd and 3rd finger from your toe for 2 minutes. Finally give a good massage for both feet in hot water. Consult after 5 days. I have a habit of running but sir due to that my lower portion of back and knees are suffering from pain. So sir suggest me what to do as I stop running or how much I should run. Wear sports shoes n knee cap for precautions n while running in practicing try to take small step n avoid high jumping. If this is also not helpful then stop running n start fast walking without jumping it will equally n similarly give stamina. Hope this will helpful. Since from last couple weeks my upper back right joint feels heay , being littel painfull could you suggest me why so. I am 51 I have supraspinatus tendonitis. Two weeks of medication didn't reduce my pain much and also a week of physiotheraphy. What to do? Hi thanks for your query and welcome to lybrate. I am Dr. Akshay from fortis hospital, new delhi. You can go for a subacromial injection as it will reduce the inflammation and then after few days of ice packs and anti inflammatory medication, you can start with your physical therapy. Do not hesitate to contact me if you need any further assistance. You can also discuss your case and treatment plans with me in a greater detail in a private consultation.